Adobe Audition is a multitrack recording studio that offers a flexible workflow and exceptional ease of use. Adobe Audition enables you to mix up to 128 tracks, edit individual audio files, create loops, and use more than 45 DSP effects. Whether you're producing music, radio broadcasts, or audio for video, the precise tools in Adobe Audition give you the power to create rich, nuanced audio of the highest possible quality. Please Note: This software was purchased by Adobe from Syntrillium Software in May 2003 - different versions were originally named Cool Edit and Cool Edit Pro. Links to older Cool Edit listings now redirect to this page. Native Mac support - as well as improvements for Windows users have been included into this release of Audition. This version has been updated to get the most out of the multicore processing, native audio, and DSP power of the Mac system. You can also take advantage updates to audio editing, mixing, sweetening, and restoration tools no matter the platform. New high-performance playback engine - has been completely rebuilt to dramatically improve the responsiveness on projects of all sizes. Your ability to open sessions and files has also been increased by as much as two to three times faster. You can work on multi track sessions and single file edits at the same time, all the while getting smoother performance when applying multiple effects to multiple tracks. Better workflow flexibility - with round trip editing and project exchange. This means that if you are a video editor and you are using Premiere Pro, you can quickly clean up your audio in Audition and they will instantly be updated in your Premiere project saving you processing time. Through the use of OMF and XML Interchange compatibility, you can work with tools like Apple Final Cut Pro and Avid Pro Tools as well. Native multichannel support - giving 5.1 surround sound capability. You now can create entirely new surround sound projects or add the finishing touches to existing 5.1 projects and then save to a full 5.1 surround master. You have true 5.1 metering and effects available on surround tracks and sessions in all modes including the Multitrack Editor, Waveform Editor, as well as in the Mixer. New effects - have been added to Audition including a DeHummer - which lets you locate and remove constant-level noise sources, SeEsser - removes vocal sibilance from interviews, dialogue, and voice-overs, Speech Volume Leveler - matches the volume of different actors recorded at different distances from a single microphone in the same audio clip, and Surround Reverb - lets you tailor levels for all channels in 5.1 files, including Center and LFE (Low Frequency Effect) channels, gives you a selection of room impulses, and offers precise control of reverb parameters and output balance controls. Expanded library - that includes more than 10,000 royalty-free sound effects that you can just drag and drop into your multitrack project to customize, combine, edit, and layer them. You can combine music and sound effects to get just the track the way you want it. When it is done you can send it into Premiere Pro or Flash Professional. Broadcast WAV support - and simplified XMP metadata panel lets you view and edit your XMP metadata through a simplified interface and the fact that the support for XMP metadata includes the Broadcast WAV (BWF) schema, means that automated workflows within Production Premium and other radio and TV production systems. Auto-saved XML file format - saves your sessions in the robust, flexible, and nondestructive XML format. XML is a human-readable standard for electronically encoding data in documents that can be used to reconstruct a file in the event it becomes corrupted, as well as to facilitate conversion to proprietary formats used by different manufacturers. You also can import Adobe Audition 3 sessions, and then save them as XML. New History panel - gives you the ability take waveform and multitrack mixes back to earlier states within the same session just like you can do with graphic edits in Photoshop. Experiment with signal flow though a series of audio effects, try out different surround mixes, or apply a variety of degrees of noise reduction to a track, with the assurance that you can recall your original settings with a single click in the History panel. Spectral tools no longer crash machines with more than four CPU cores. The Graphic Phase Shifter effect has been re-enabled. Performance while recording MIDI data has been improved. The Sequencer will now record MIDI data even if the panel is closed. Adobe Audition will now launch on Windows Vista systems where the My Documents folder was moved from the default location. The application will now ignore Windows "Locale" settings to format decimal data in comma-delimited XML settings files. A Healing Brush crash issue has been addressed. Crossfades are no longer incorrectly added to grouped clips when overlapped with non-grouped clips. Invalid crossfades will no longer be added to the end of a previously trimmed clip after enabling or disabling looping. Invalid crossfades for clips after enabling non-session tempo-based looping have been addressed. Dragging crossfaded clips onto the master track no longer creates two additional tracks and an error in the crossfades. Inserting MIDI from the Files panel would cause the application to hang in Edit mode for an audio file whose sample rate didn't match the session. Several scenarios where crossfade changes could corrupt a session were addressed. Closing a session without exiting the rewire app no longer causes Adobe Audition to save a blank session. Undo no longer becomes disabled after undoing the creation of unique copies of two crossfaded clips. Crossfaded clips no longer disappear after undoing move clips. Canceling VST scan no longer causes Adobe Audition to become unstable. If a selection existed, a full session mixdown would only process MIDI data through the end of the selection. The Open MIDI dialog box was not completely modal and could cause a crash. MIDI Host had problems with some Spectrasonics VSTi instruments, where it wouldn't show the entire UI. CD burning would sometimes create a corrupted disk but still report a successful burn. Applying the Clip/Pop Eliminator no longer crashes the application. Crash recovery is now more reliable when using Auto-Save For Recovery. When the application detects the possible saving failure that causes a corrupted session, a warning dialog box now appears so users can retry the save. Transport controls are no longer disabled if a new session is opened without closing the existing session. Crossfades will now retain their original shape when clips are moved and the session is reopened. Posted by Tommy Edison on Thu, 04/28/2011 - 15:05. Cannot 'see' my CD drives anymore to pull a voice track off of my own CD to work on it in CE. Any idea of it's a Windows 7 update that causes you to lose this function that you had in XP? Posted by Anonymous on Wed, 10/13/2010 - 15:20. Posted by Anonymous on Sun, 09/12/2010 - 18:14.
i just install adobe audition on my xp and i can not play any wave and record aswell, any idea? What happened to Audition rippin' mp3's? Posted by Anonymous on Sat, 08/07/2010 - 00:37. Other programs will rip it, but Audition won't. Does the fix address this? Don;t want to bother with it if it didn't. I keep getting the error that it is (cda) not supported. Try to do it as a PCM raw which doesn't work either. When did Adobe disable this? Posted by Anonymous on Sun, 02/14/2010 - 11:04. Posted by Mike B. on Thu, 09/02/2010 - 08:54. Yes, Adobe Audition keeps crashing on Windows 7. Every time when I use some kind of effect on the wave file it crashes almost immediately, I did not have this problem with Windows XP or Vista. The crashes do not occur when i make simple edits like cuts for example, but as soon as I use an effect it crashes, very irritating. Maybe it's time for an update for Audition Adobe, Windows 7 is out, almost a year now! Posted by G-Dub on Sat, 12/12/2009 - 23:14. I have type 2 mp3 files that I want to convert to reg mp3? Type 2 wont play on some windows media players. Still don't know why adobe audition 1.5 saved them in that format? Help for vista folks and a question for you all! Posted by Anonymous on Fri, 08/21/2009 - 04:07. I read someone Else's complaint that had Adobe Audition 2.0 with Windows XP and he said he had Cool Edit 2.1, and he needed to add these two fixes ASl04ALLV2 and AVS AUDIO EDITOR 4.2 ; I hope it works for you. Maybe you can help me too? This is kind of embarrassing for me because I am a digital/ virtual kind of guy; When it comes to recording I have no clue. I just inherited a family record label and am starting from scratch on learning recording and fixing/remastering some of our old copyrighted songs which I currently have on MP3. They are old songs with pops and crackles. I am a song writer but only the lyrics. I do not write music. I can compose by ear and and with the program for sure. And I sing a little. But will definitely need voice enhancer. I want to start small. Can you suggest the right home recording program and equipment for windows vista, without costing an arm and a leg? I would also like a program that will print out the sheet music when finished. I thought I found one on line today and then lost it . Can most of the recording programs print the sheet music when composing and editing of song is completed? Posted by pigebear on Fri, 07/31/2009 - 14:11. I have a real Version of Audition 3.0 and It crashes! Even doing the smallest edit. It all started after Service pack 2 anyone else having this problem? I had same problem on XP. Posted by Jesse Smith on Fri, 05/21/2010 - 20:13. Clue: Download any new Adobe file viewers or video players or related updates recently? I need help with Audition 3.0! Posted by Anonymous on Tue, 06/23/2009 - 17:38. I have Audition 3.0, Since switching to Vista from XP, I have bleedover from one track to another while recording. For instance, I drop music bed in track 1, then record voiceover. When I put Track 2 into edit mode, it also recorded music from Track 1. It's not the mic picking up headphones because I can lay the headphones across the room and it still does it. This did not happen on XP. Anyone have any suggestions? Problems with Adobe audition 3! Posted by Sayan Ray on Fri, 08/28/2009 - 09:08. I have the same problem.......I used XP and had toreinstall Xp. Now theres that stupid bleeding in. If you have solved the problem do tell me how. Posted by Jolene on Wed, 02/24/2010 - 20:34. Hi ! Just went back on the site where I posted my original bleedover problem. I solved it by throwing a blanket over my BRAND NEW computer I'd just bought and going back to USING MY OLD COMPUTER which has XP and Audition 1.5 Did you ever figure out the problem? Posted by Sayan on Fri, 04/01/2011 - 20:45. Posted by Betero on Thu, 05/14/2009 - 23:26. I have the 2.0v original with me and i need to run on vista .but there is a problem on running on it. I need assistance if there is away or possibility before buying the latest one. Posted by ron on Mon, 11/10/2008 - 01:41. I have the original 1.5 -- Vista does not support it -- Is there not a patch/fix to avoid spending more $$ ?? Am I being forced to buy all new software ?? Posted by Andrew on Fri, 07/24/2009 - 01:33. I had my computer crash recently and lost the Adobe Audition 1.5 installed. I don't have the installation disc. I would be willing to buy your, or pay for a copy through PayPal. Please let me know. Posted by JZ on Thu, 01/07/2010 - 20:30. When I got Vista I thought that I would have to upgrade to the latest Audition software, but I decided to try and install it anyway and it worked. It's been about two years and I've had no real problems with compatibility. I say "no real problems" because I'll still have the ocassional crash when using too many effects or filters, but it's no different than I had on XP. So I'm actually kind of surprised to read these postings. Posted by Stacey on Fri, 07/24/2009 - 06:04. 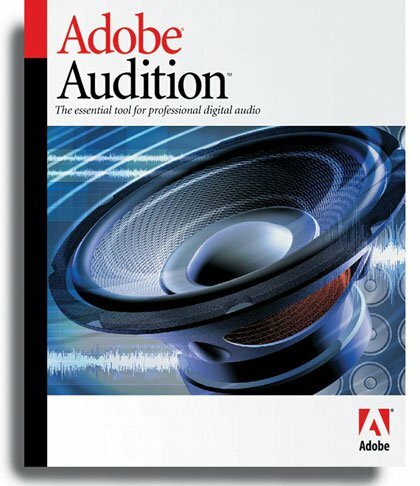 If you have legitimately purchased Adobe Audition 1.5 in the past the Adobe would have the record somewhere of the serial number being activated. You should be able to contact them and be able to work something out without having to repurchase a copy. Posted by Stacey on Mon, 11/10/2008 - 03:07. Posted by JZ on Thu, 01/07/2010 - 20:28.